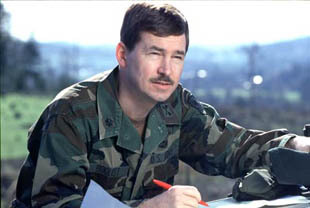 Candidate Brian J. Boquist holds the rank of Lt. Col. in the U.S. Army Reserve following a 24-year military career. He lives in Dallas on a 17-acre farm with his wife, Peggy, and their five children. 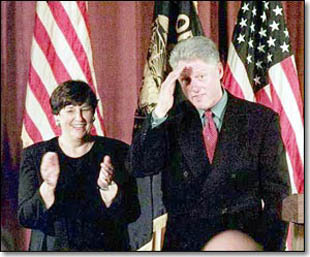 Rep. Darlene Hooley, D-Ore., joins supporters in applause at a campaign rally in Portland, Oregon late Friday, June 12, 1998, as President Clinton lends his support for her re-election. Rep. Darlene Hooley's Campaign Web Site.